With a wave of a magical wand, Quicken Loans Arena turned into the School for Witchcraft and Wizardry for a very special group of kids on Tuesday, October 9. 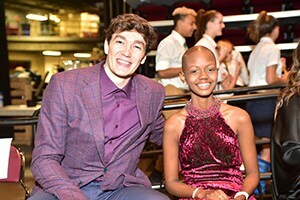 Forty pediatric cancer survivors were the stars of the night when the Cleveland Cavaliers hosted the annual “Big Shots and Little Stars” fundraiser, to benefit Flashes of Hope and The Children’s Tumor Foundation. The night aims to raise awareness and funds for pediatric cancer research and featured Cavaliers players joined by Dumbledore, McGonagall and their spellbinding friends from Harry Potter. More than 1,200 of Northeast Ohio’s business and community leaders gathered at The Q for the event of the year on Tuesday, first enjoying a reception full of food and drinks, followed by an engaging stage show. Cavs General Manger Koby Altman and his staff, as well as Head Coach Tyronn Lue and his staff, were in attendance to see Cavs in-arena hosts Ahmaad and Nicole emcee the festivities, Flashes of Hope founder, Allison Clarke speak and Cavs chairman Dan Gilbert make an appearance. One of the highlights of the night was a special presentation of Little Star “All-Stars,” former Little Stars who are now thriving in their lives. View snapshots from the event. More news on the Cavs. The culmination of the evening every year is the inspirational fashion show, which features the full roster of Cavs players paired with pediatric cancer survivors. The Cavs and other Cleveland-area “Big Shots” accompanied their “Little Stars” for a heartwarming stroll down the runway, topped off with a confetti-filled grand finale. 2018 marks the 10th year the Cleveland Cavaliers have hosted Big Shots and Little Stars with Flashes of Hope. The event has raised more than $10 million dollars during that time to benefit Flashes of Hope and The Children’s Tumor Foundation. The event has generated more than one million dollars a year the last several years and expects to do the same this year. Close to 300 Little Stars have walked the runway over the last nine years. Flashes of Hope raises funds to accelerate a cure for children’s cancer while honoring the unique life and memories of every child fighting cancer. Founded in Cleveland in 2001 by parents of a child with cancer, Flashes of Hope has photographed more than 75,000 children across the country and raised millions of dollars for critically needed research. Flashes of Hope honors the courage of children with cancer; they capture a moment in time and fund research so they will have the chance to create a lifetime of memories. For more information: http://flashesofhope.org/. The Children's Tumor Foundation is dedicated to driving research, expanding knowledge and advancing care for individuals and families affected by neurofibromatosis (NF), with the vision of ending NF. In their work to accelerate a cure for NF, CTF has grown from a foundation that funds promising science to one that catalyzes the drug discovery process through a series of innovative processes, key partnerships and strategic investments. CTF is revolutionizing the field of NF research, forging new pathways for one reason and one reason only: to benefit the millions of people living with NF. For more information: http://www.ctf.org/. 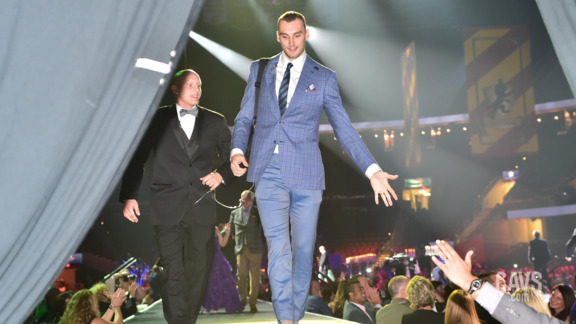 Cavs.com takes you behind-the-scenes from the 2018 Big Shots and Little Stars fundraiser as Sam Dekker and Larry Nance Jr. are mic’d for sound. 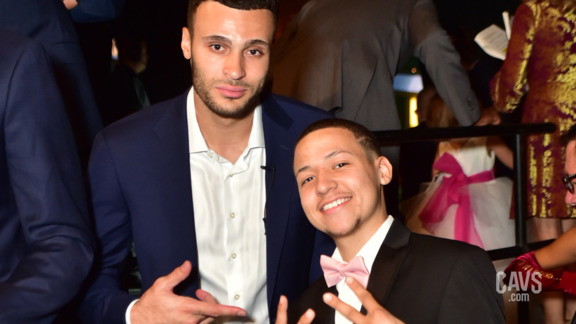 Cavaliers center Larry Nance Jr. and his little star Darien spoke with Cavs.com at the 2018 Big Shots and Little Stars fundraiser at Quicken Loans Arena. 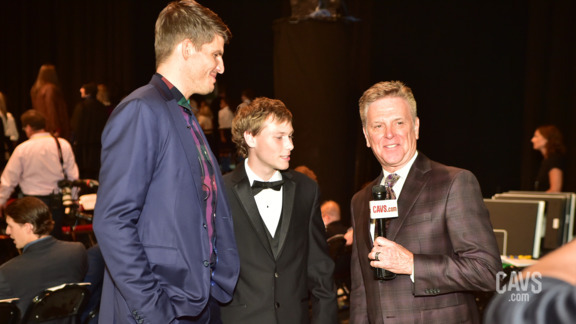 Cavaliers guard Kyle Korver and his little star Nicholas spoke with Cavs.com at the 2018 Big Shots and Little Stars fundraiser at Quicken Loans Arena. 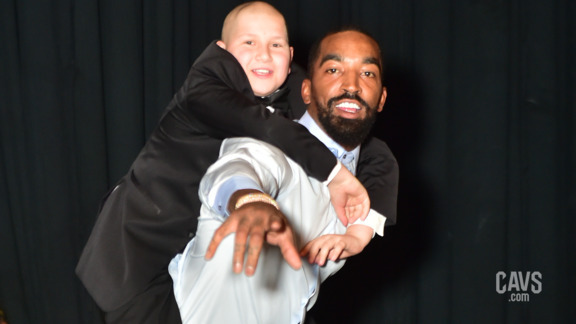 Cavaliers guard JR Smith and his little star Chesco spoke with Cavs.com at the 2018 Big Shots and Little Stars fundraiser at Quicken Loans Arena. 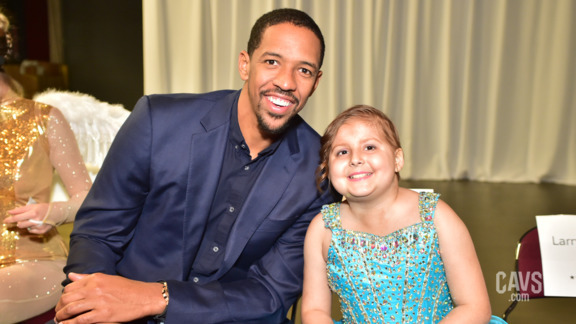 Channing Frye's little star, Oliviah, steals the show by taking the mic and signing her heart out at the 2018 Big Shots and Little Stars fundraiser at Quicken Loans Arena. 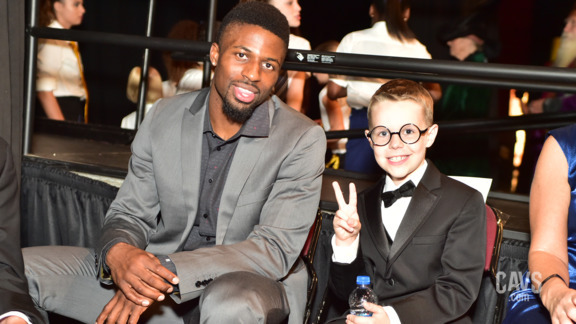 Cavaliers guard David Nwaba and his little star Quinn spoke with Cavs.com at the 2018 Big Shots and Little Stars fundraiser at Quicken Loans Arena. 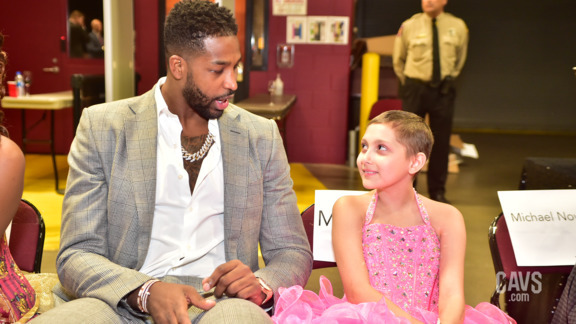 Cavaliers center Tristan Thompson and his little star Mariliese spoke with Cavs.com at the 2018 Big Shots and Little Stars fundraiser at Quicken Loans Arena. 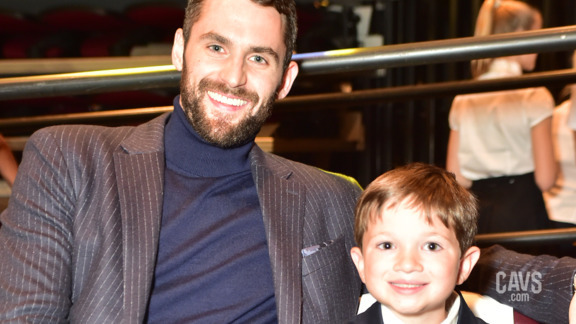 Cavaliers forward/center Kevin Love and his little star Kellen spoke with Cavs.com at the 2018 Flashes of Hope fundraiser at Quicken Loans Arena.